Tawara I, Kageyama S, Miyahara Y, et al. Safety and persistence of WT1-specific T-cell receptor gene-transduced lymphocytes in patients with AML and MDS. Blood. 130(18) 1985-1994, 2017. Kageyama S, Ikeda H, Miyahara Y, et al. 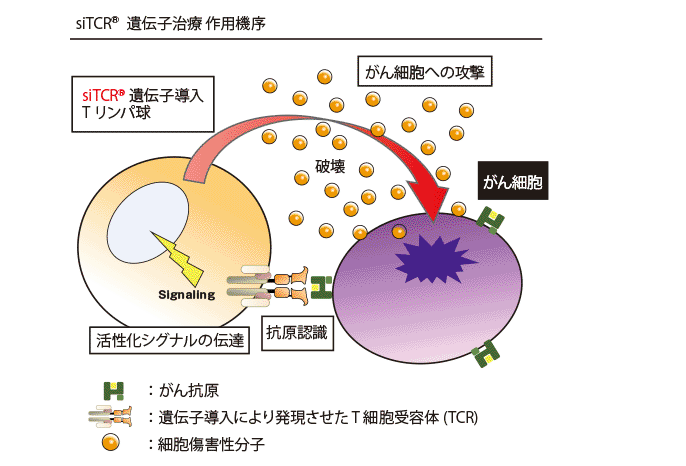 Adoptive Transfer of MAGE-A4 T-cell Receptor Gene-Transduced Lymphocytes in Patients with Recurrent Esophageal Cancer. Clin Cancer Res. 21(10):2268-2277, 2015. Okamoto S, Amaishi Y, Goto Y, et al. 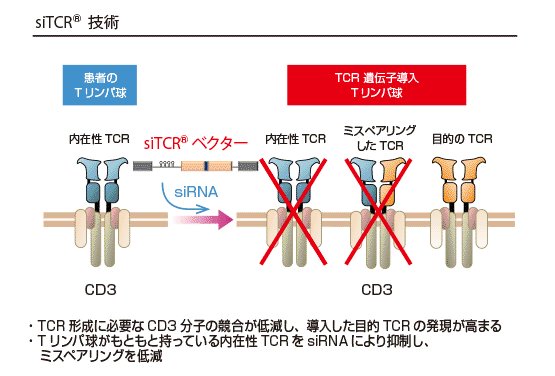 A Promising Vector for TCR Gene Therapy: Differential Effect of siRNA, 2A Peptide, and Disulfide Bond on the Introduced TCR Expression. Mol Ther Nucleic Acids. 1:e63, 2012. Okamoto S, Mineno J, Ikeda H, et al. 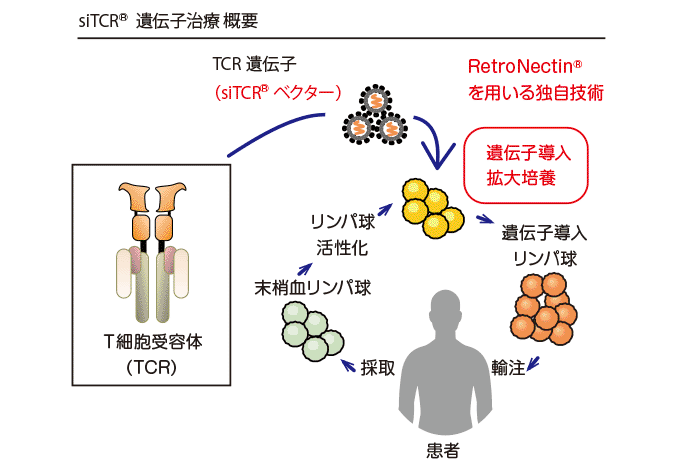 Improved expression and reactivity of transduced tumor-specific TCRs in human lymphocytes by specific silencing of endogenous TCR. Cancer Res. 69(23):9003-9011, 2009.